Seal auto bottom accommodates the features of both tuck top snap bottom and auto-lock bottom box. These boxes have both top tuck end flaps and auto bottom. It makes them secure and reliable as well. The flexible design of this packaging allows the top and bottom flaps to stick together. There are many reasons that you should go for seal end auto bottom boxes. In product selling business, the packaging is as important as the product. While choosing the right packaging for your product, most important things to consider are the size and weight of the product. Corrugated and folding carton boxes are the preferred choices when it comes to secure packaging. High-quality material of these ensures that box can bear the weight of product without losing its shape. These boxes have a bottom closure which makes these best for all type of item. 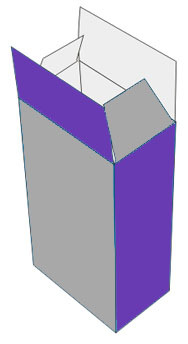 Custom folding cartons have different styles of bottom closure boxes. 1-2-3 bottom, auto bottom with display lid and seal end auto bottom are best among all forms. The packaging of large and bulky items requires security and strength. For this purpose, you cannot opt for anything better than seal auto bottom boxes. These boxes provide an auto lock on one side and tuck flaps on other. These seal end auto bottom boxes offer more strength than tuck end auto bottom boxes. Their designs ensure fast assembling and convenience. Sided sealing glues make them best sealing among other folding carton box styles. These boxes are ideal for a variety of product. You can fold these into a flat shape for space saving. Later stretch them to restore their form for use. Seal end auto bottom boxes are the best option for reducing packaging cost. The material used for manufacturing these boxes is inexpensive. It makes them a cost-effective solution. It also makes these boxes a convenient choice for most of the retailers. Most companies deliver Seal end auto bottom boxes flat. It reduces the space and weight of the box which reduces the transportation cost. This packaging comes with flexible design. It allows the user to fold them and store them for later use. When needed, you can stretch these boxes to their original structure. Their light weight makes easy to handle these boxes. In any business, it is vital to promote your brand or company. You can customize these boxes in a variety of ways. A simple cardboard box and the dull tape is not enough to give a memorable experience to customers. Specific colors, physical and graphic design are enough to grab the attention of anyone. Use a repeating pattern of your image or logo can help the user to identify your brand. High-quality printing, embossing, and coating give an elegant look to seal end auto bottom boxes. Unique designs and colors on seal end auto bottom boxes can help you to get your brand promotion goals. The most convincing thing about seal end auto bottom boxes is locking strength. These boxes come with an auto bottom. It features a sturdy structure in which panels attach to the flaps. These boxes have more secure and seal end. It makes them reliable and convenient for large and heavyweight products. The assembling process of these boxes is easy and straightforward. From buyers to sellers these boxes delivered in flat form. You can fold seal end auto bottom boxes into a flat shape. 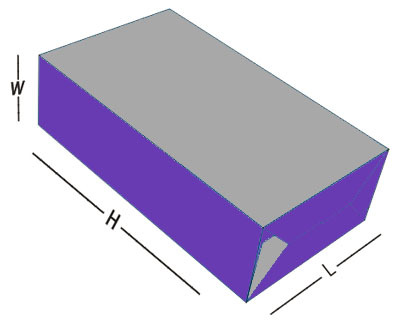 The shape of the box can restore when stretched. Its top and bottom flaps can fold over the open end and glue after the product filled in it. Most manufacturers use Kraft material for seal end auto bottom boxes. It is eco-friendly and biodegradable material. It reduces the waste of natural products during the packaging process. People now days are worrying more about the environment. Environmental friendly packaging makes you a reasonable company in customer’s eye. It is also a useful marketing tactic to increase brand awareness. Seal end auto bottom boxes are also reusable. You can fold the body and bottom of these boxes for later use. You can stick to your customer’s mind by these boxes. Logo or company name on these boxes make users remind you whenever they use these boxes again. Custom Packaging Pro understands the need for custom boxes in packaging. 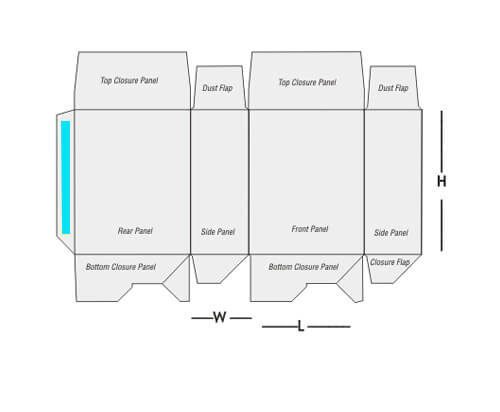 Our seal end auto bottom boxes are available in all sizes. CMYK, PMS, Foiling, Embossing, Spot UV, Plastic Window are unique add-on options available. You can order from 100 boxes. By using the latest high-quality printing we always give best to our customers. We also offer proofread with the 2D and 3D view for your satisfaction. We also provide the fastest turnaround time for seal end auto bottom boxes.